After the world-wide success of the hit musical Mamma Mia! it was a given that producer Judy Graymer would take on another juke-box musical. She teamed up with Geri Halliwell and Simon Fuller to develop a new musical using the songs of the Spice Girls entitled Viva Forever. The show has been approached in a similar way to that of Mamma Mia. The production opened in the West End on the 11th December 2012 at the Piccadilly Theatre to mainly negative reviews. Just over a month after it opened I went along to see it, I wasn’t expecting anything. In fact I was ready to hate the production. But I told myself I wouldn’t go in with any expectations or go in wanting to dislike the show and I actually had a great time! The show follows Viva on her journey to stardom through an X-Factor style reality TV show. She originally auditions with her 3 best friends as a girl group but she is singled out and decides to follow her dream on her own. Within the show you also see Viva’s mother coming to terms with what her daughter wants in life. If you break down the story it is basically Mamma Mia but more topical. What you see on stage in Viva Forever is going to be something that a modern audience is going to recognise, they use the reality TV show really well in this show. Although the story and the characters lack substance its fine because it’s not Shakespeare or a Royal Court play, it’s a Spice Girls musical! What do you expect! This show is one which is meant to be a good night out for people. However there a way to many characters in this show, where as in Mamma Mia you know every single one of their characters and their relevance to the story in this show there were a lot of random people that shouldn’t have been there, far too confusing at times! A few very dodgy moments in the show too, when people broke into song it caused laughter in the audience. Was this on purpose and meant to be funny or just a failed attempt at putting songs in? I have no idea but at times it felt very cringe worthy. When Viva goes to Spain Spice Up Your Life just happens for some reason, I think it was meant to be a Spanish festival setting (with a random Bull in the background. Its reason for being there, I have no idea!) but it happens and ends far too quickly with no reason. There is a part in the middle of the song where it builds up from just a drum and that’s how it should have started, would have been a much smoother transition! And 4 huge Piñata people come on stage. Very bizarre and it still makes me chuckle now. There were quite a few moments where characters would be singing and it sounds like they’re trying to see who can scream the loudest plus the microphones were way too loud at points that some of the singing sounded like cat screeching. The end also just finished, I would have liked to have known if Viva got anywhere in the competition. The script is good, Jennifer Saunders has written what she knows best and I think it works. It may have no substance what so ever but it was funny and modern, not her best work but one thing about this show is that it doesn’t take itself seriously which is so refreshing. I also don’t think any other show in the West End is a topical as this, it’s set in present time and draws on issues which is very much apparent within today’s society. Peter Garrington (Director) and Lynn Page (Choreographer) are not very imaginative in this show; their work is very ‘meh’. They haven’t done much with what they had. However I was quite impressed with the set, I’ve seen it in pictures and it looks a bit rubbish but live it really works. I’m not sure why Viva and her mother lived in a boat but I couldn’t imagine it any other way and the way the boat came out of the stage was really nice. The use of the TV screens at the beginning was terrific; the audition tapes played on the screens in the Prologue was a great start, nice to see a little appearance from Jennifer Saunders too! However there was a strange space thing going on in the beginning, I think it may have been a piss take of We Will Rock You but I’m not sure! Hannah John-Kamen stars as Viva in the show; she plays the role really well. She has fantastic relationships with the other characters in the show and she brings through the characters emotions really well. Sally Ann Triplet plays Viva’s mother, Lauren. Her acting is brilliant however her vocals weren’t great. She just didn’t sound very good singing the Spice Girls Songs. Hannah John-Kamen has voice which is more poppy than musical theatre and that fits really well but Sally seems to be the opposite however Lucy Montgomery who plays Suzi, Laurens friend, has an amazing voice and she had such brilliant comic timing. Dominque Provost, Lucy Phelps and Siobhan Athwal played Viva’s band mates Holly, Diamond and Luce. They all performed with amazing confidence and it was quite pleasant watching them on stage. However one thing I didn’t like about these characters is that they are all played very stereotypically. I just thought that was a bit overdone and a bit boring. Ben Cura as Angel was ok from what I remember, but considering he was Viva's love interest he should have had a bigger part in the show. Sally Dexter, Bill Ward and Helen Ternent (Tamara Wall wasn’t there for this performance, thanks for informing the audience Piccadilly Theatre. *Notice sarcasm*) played the three talent show judges, Simone, Johnny and Karen. Sally Dexter was most likely one of my favourite things about this production, her vocals were great and she was actually one of the only characters that had depth to them. Bill Ward was alright, I only think I actually paid attention to him for in total about 2 minutes because whenever he was on there were way too many characters to take in at the same time. Helen Ternent was hilarious; I wouldn’t have ever known she was an understudy. Simon Adkins played the gay stylist, Leon. He was really funny, when you play gay there’s always a fine line between being funny and being cringey but he was excellent. But my favourite thing in this whole production was Hatty Preston as Minty, Simone’s assistant. She was hilarious! Hash tag a typical Ab Fab character. I think I’ve covered most of the characters I’ve remembered, there were just so many of them I don’t know who I’ve left out! The ensemble in the show are good too, not many big ensemble pieces in this show but what I loved about them is they played so many extra type characters but they all seemed to have made characters for themselves which added to all the scenes. Overall this production is a great night out, its not going to be the best show you’ve ever seen and you’re most definitely not going to walk out saying “ That was just so amazing” but if you go in with an open mind, no expectation and a glass of wine then you’ll have an amazing night! 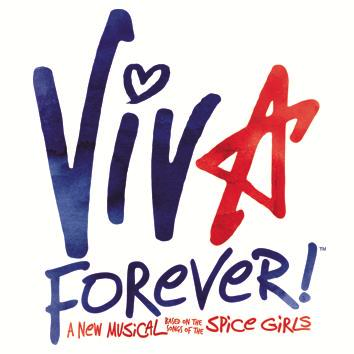 Why don’t you Spice Up Your Life and head down to the Piccadilly Theatre!